In England, an Uber driver severely miscalculated the tides, finding himself driving on a road completely enveloped by the sea. 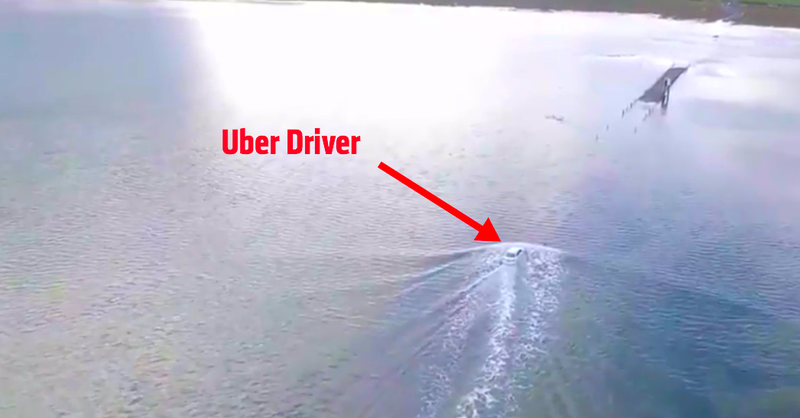 Watch this drone footage of what must have been the most terrifying Uber drive ever. The Lindisfarne Castle in northern England sits on a tidal island which can only be accessed by boat during high tide, but can be reached a few times a day by car when low tides expose the slightly elevated causeway. Eventually, and miraculously, the Uber driver made it through the deep water to a high point in the road, where he and his passengers waited on the safety tower until the Royal National Lifeboat Institution came and picked them up. Between that rescue, the inevitable rust from all that saltwater exposure, and whatever other damage (electrical gremlins) all that water did to the Jetta, this is going to be expensive. That poor Uber driver is probably going to have to work a few extra shifts ,but hopefully he’ll wait on the ferry next time around. Why Did A New Jeep Wrangler Die In Ten Inches Of Water?